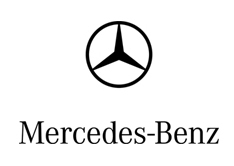 ATLANTA - February 2, 2016: Mercedes-Benz USA (MBUSA) today reported record January sales of 24,664, topping last January's record volume of 24,619 units sold. Adding 1,899 units for Vans and 399 units for smart, MBUSA achieved its highest January to date with a grand total of 26,962 vehicles, up 1.3% from a year ago. "On the heels of our highest volume sales year in MBUSA's history, January is continuing the momentum into 2016," said Dietmar Exler, president and CEO of MBUSA. "Our new product offerings, including the new E-Class will continue to bring our customers the best in experience and innovation." Mercedes-Benz volume leaders in January included the C-Class, GLE and CLA model lines. The C-Class took the lead at 5,079, followed by the new GLE sales of 3,515. The CLA rounded out the top three with an increase of 27.2% to 3,168 units sold. Mercedes-Benz AMG high-performance models sold 1,904 units in January, up 141% from last year (790), while the brand's BlueTEC diesel lineup finished the month at 334. Separately, Mercedes-Benz Certified Pre-Owned (MBCPO) models recorded their best January ever with sales of 9,934, up 5.1% from the 9,456 units sold the same month last year.